The 2018 Formula 1 season is now well underway and CharityStars.com is offering the highest bidder the opportunity to own a unique piece of F1 history: an official F1 Opus Champions Edition. 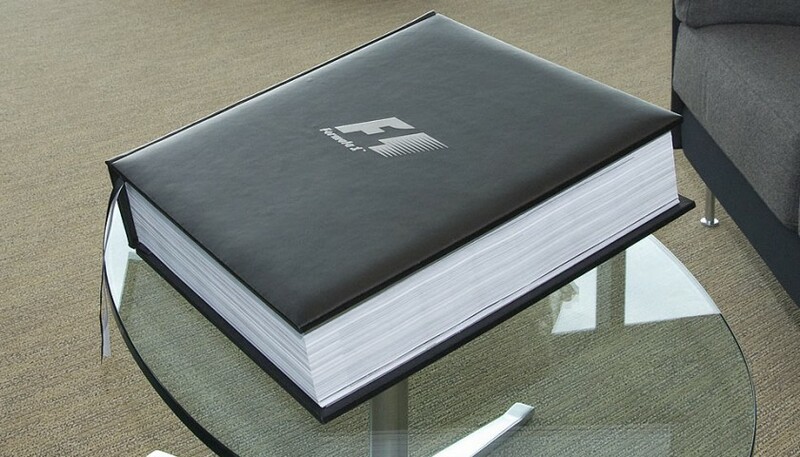 The exquisite (and enormous) book is made up of 850 pages: home to over 1,000 large photographs, various unseen polaroid portraits, three giant two-metre long gatefolds and 200,000 words by the finest writers in F1. Not only that, as this is the champions edition, it has been signed by 23 world champions including Phil Hill, John Surtees and Sir Jack Braham, as well as the current stars of the sport. The leather-bound book documents the 60-year history of F1 racing and there are only 99 copies in the world. The current bid stands at GBP6,500, but with an RRP of GBP20,000 this should increase. As an incredible collector’s item, it will only appreciate in value as the years go on. Words do not really do justice to the sheer scale of the enterprise: a spectacular museum piece in itself and a remarkable monument to Formula 1. Proceeds from the auction will support UK Youth, a charity that has a vision to provide every young person with a bright future. They do this by working hand-in-hand with young people and dedicated organisations to develop a variety of skills. To bid please visit https://www.charitystars.com/product/official-f1-opus-champions-edition-signed-by-23-world-champions-1. This auction ends on 16 May 2018. CharityStars.com was founded in 2014 with a passion and aim to change the non-profit sector and continue its mission to help charities raise money. Since launching, more than 1000 global celebrities and brands have chosen to work with CharityStars.com including Andy Murray, Lionel Messi, Jessie J, Joss Stone, David Coulthard and Sir Bobby Charlton, plus over 400 non-for-profit organisations, such as Save the Children and Oxfam. Last year Berkeley University named the company as one of the most “impacting Social Enterprises globally". CharityStars.com commits to no upfront fees, re-investing only 15 percent of the total auction proceeds to cover the full suite of services and operational costs. Excluding this fee, 100 percent of the net funds raised, go directly to the benefitting non-profit.